I just love engagement photos! I encourage all of my wedding couples to have a complimentary engagement shoot with me so it is included in both my wedding packages. I make it complimentary because I feel it is an opportunity for you to get to know me and how I work before your big day plus.. who doesn’t want some extra photos? Engagement photos shouldn’t be a daunting experience. You should treat it as a learning opportunity, a chance to practice in front of the camera before your big day or to try something new. You get an entire extra set of photos that you can then use before or at your wedding. I love when couples come to me with a clear idea on what they want from their engagement photos, but don’t panic if you have no idea on what you want to do. I can help with that! Your engagement shoot can take place anywhere. Think of places that are meaningful to the both of you as a couple, such as the place you met, where you had your first date or even where you plan on getting married. I bring a number of props with me to use that just lets you be fun and creative but also allows you to relax and not think too much about posing. I also encourage you to bring your own props too to make it personal to you. 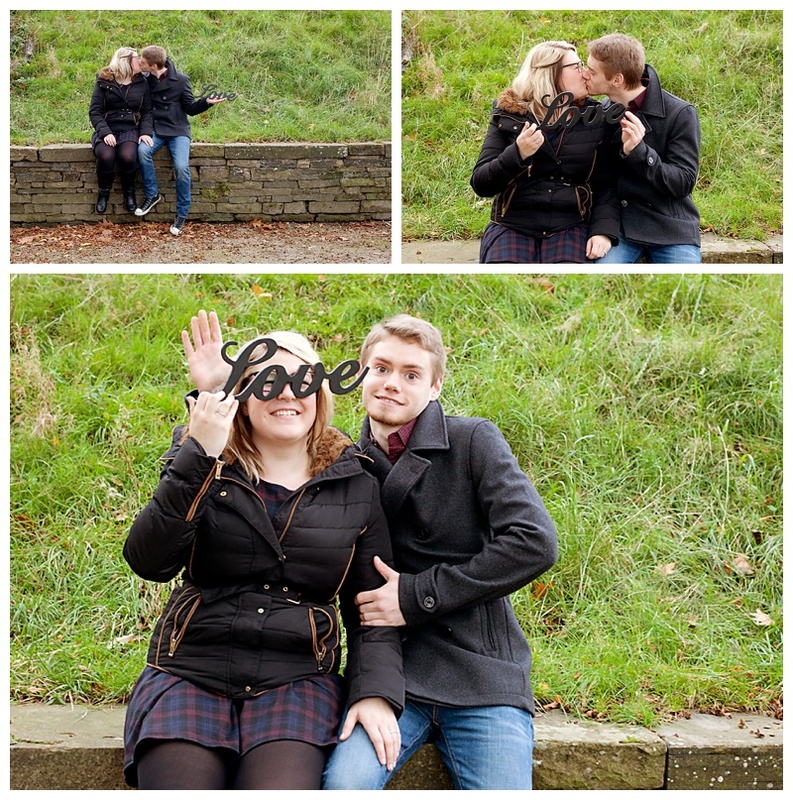 Due to the time of year, Mike and Jaimie-Clare chose Shibden Park for their engagement photos. I just love autumn with its awesome colour palette. You get to wrap up warm and go for a walk whilst crunching through all the colourful leaves. Shibden Park is the perfect backdrop for this with it’s woodland paths that lead to Shibden Hall.